Nomination for the ‘Patient voices… Our Story’ video. Healthwatch Oxfordshire has been shortlisted for a national award by Healthwatch England. Healthwatch Oxfordshire has been nominated for an award in the category ‘(Championing diversity and inclusion), Understanding the needs of a community that is seldom heard’. 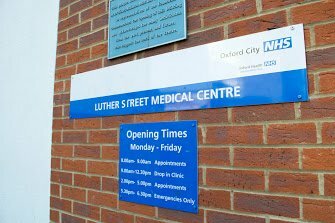 The nomination is for the video ‘Patient Voices…Our Story’, which Healthwatch Oxfordshire and local filmmaker Nicola Josse made with the Patient Participation Group of Luther Street Surgery, Oxford, and Oxford Health. This GP practice service the city’s homeless population and the film highlighted how the patients themselves were getting involved to shape how services are run. The overall winner from each category will be chosen by a panel of judges and announced at Healthwatch England’s annual conference in October 2018. The film is on YouTube or at the Healthwatch Oxfordshire website. Jane Mordue, Chair of Healthwatch England, said: “Last year, more than 341,000 people shared their views about where things could be improved in health and social care with the Healthwatch network.